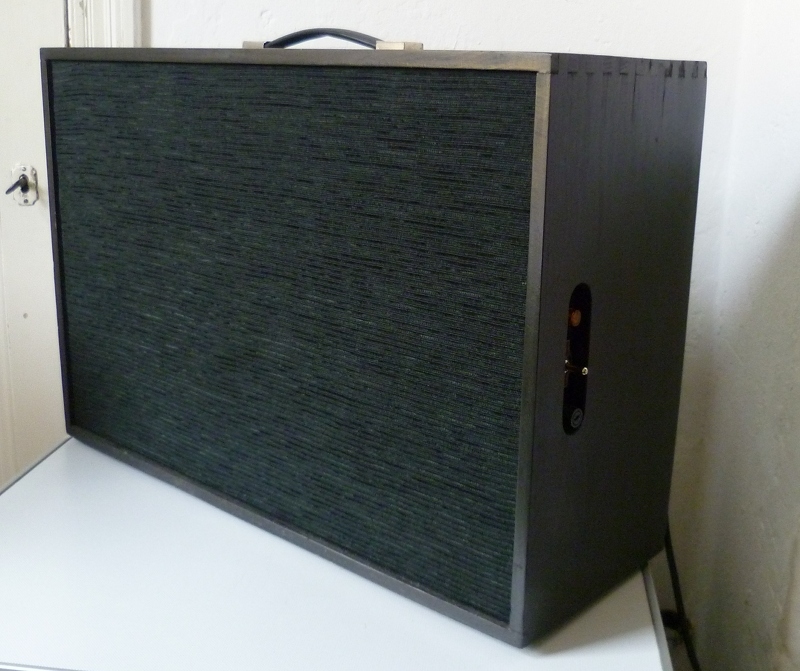 This is an interpretation of the Gibson GA40 or Les Paul amp of the late 1950’s. It has 2 6V6s, paraphrase PI, and an EF86 for an exceptionally good overdrive tone. After halfway on the volume control the sound becomes more and more compressed– perfect for blues and rock sounds. The cleans are great as well however thanks to the unusual PI configuration. The controls are as simple as the circuit: volume, treble cut and a unique bass control that affects the gain and amount of distortion. 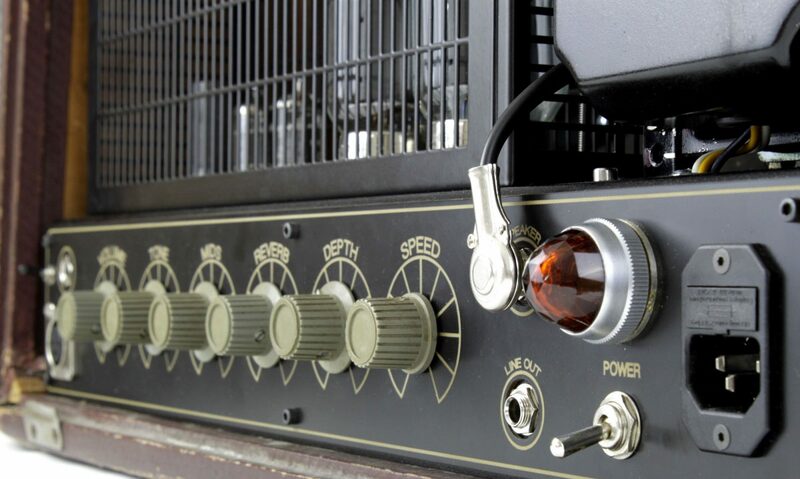 The speaker, transformer and tubes are all vintage and of high quality.